Send your some ~ bunny special the Somebunny Special gift basket! A 10" plush chenille Easter Bunny greets your little friends with wishes of Easter love and joy and chocolate! 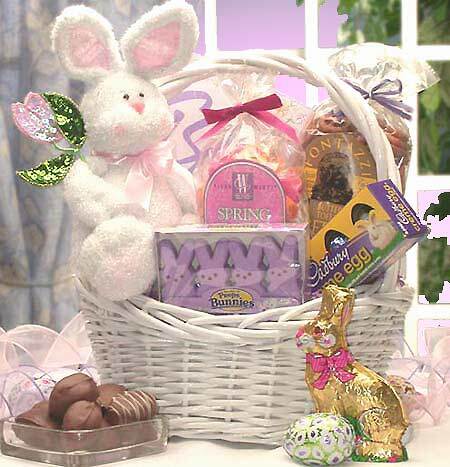 Send your Easter wishes with the Somebunny Special gift basket.